This event is FREE and open to the public through January 2, 2018. Located in the heart of the historic district, Belmond Charleston Place brings the magic and sophistication of the city into the grand lobby with a beautiful display of Christmas trees The highlight of the festive decorations is a miniature replica of the Venice Simplon-Orient-Express train nestled under the hotel’s signature Georgian open arm staircase. 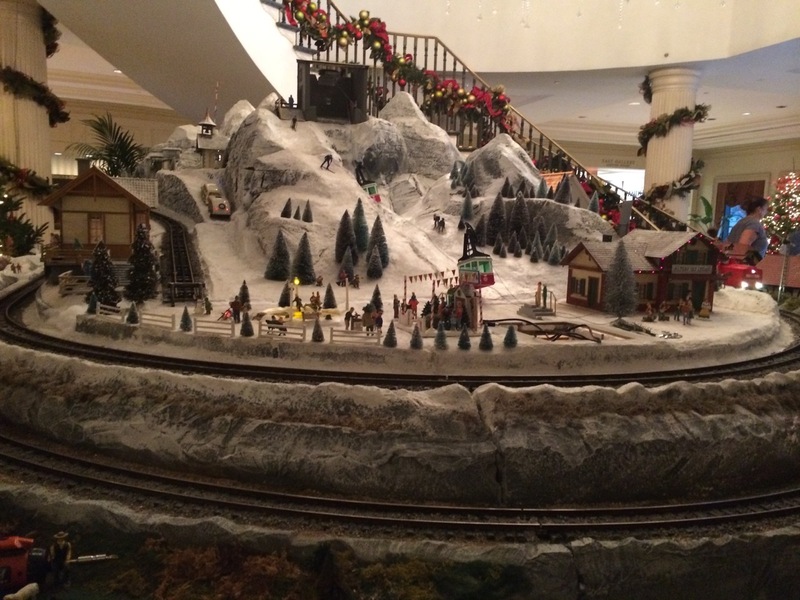 The fully operational replica of the famous luxury train, custom designed for Belmond Charleston Place, is on display throughout the holiday season. Guests and visitors alike are charmed by its miniature European alpine homes, tiny churches, realistic stables and a blacksmith shop that guests can spy through little open doors. Three trains, including the Venice Simplon-Orient-Express, complete with smokestacks, whistles and other true-to-life particulars, will run on different routes at average speeds of 70 MPH (scale speed).